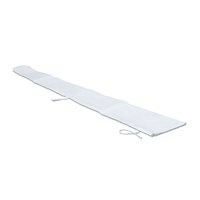 Carrying bag for work tents of type 180. 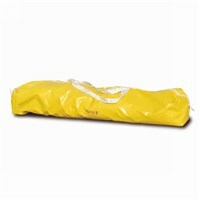 Carrying bag for work tents of type 250. Carrying bag for work tents of type 300. 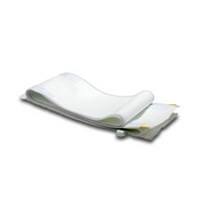 Provides sure footing for your work tent. 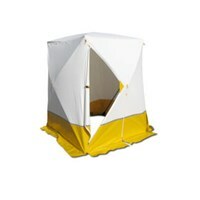 This additional triangular door provides your work tent with even more functionality. Connectable - connect two TE 250 work tents. 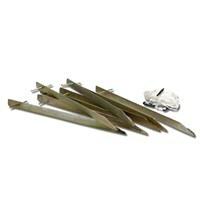 Zip for all the Trotec work tent models. 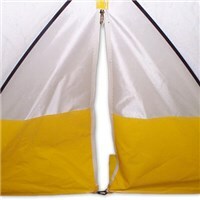 Additional ventilation opening for KE work tents. The reflective stripe is grey, 5 cm wide and is offeres as yard good. Window for Trotec work and assembly tents. 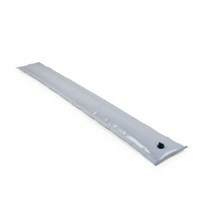 White carrier bag made of PVC for a working screen. 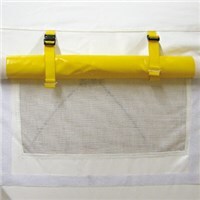 Two meter long water bag to fix tents on concrete or asphalt. 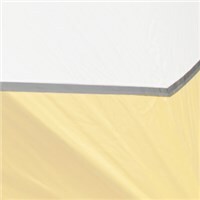 In our Online Shop you will find all the accessories for our tents: different carrying bags, tent peg and rope set, connector pieces, zippers and much more.